DSOGaming reports that the PC version of Mega Man 11 version is now 100% Denuvo-free. 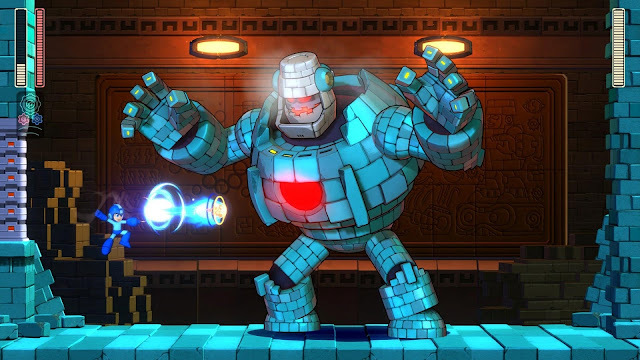 The controversial anti-tamper technology was removed from Mega Man 11 earlier this week in response to the game being cracked by CODEX. In the PC gaming community, Denuvo is largely scrutinized for anti-consumer practices and a myriad of performance issues. Yet despite complaints, publishers continue to turn to Denuvo to deter piracy. This in turn fuels the cracking scene to, well, get crackin'. At that point there really is no reason to keep Denuvo implementation around, so it's removed. If Denuvo was keeping you from picking up Mega Man 11 on PC, there's no time like the present to snag it up! And look at that – it's 20% off for Black Friday! According to the channel "Overlord Gaming" in a series of documentary videos about Denuvo, explained that one of the main reasons developers might keep using Denuvo even if the game has already been cracked is to protect the sales of DLC. So if either the DLC is already free or there's none to begin with, the developer has no reason to keep using Denuvo. That's nothing new. Tsuchiya confirmed that. Too bad they didn't do this *before* I cancelled my preorder. It was a really silly decision for Capcom to include it in the first place. That's good because I prefer PS4 and Nintendo Switch over PC version anyway. By the way, a question.. What firmware is for Mega Man 11 on Nintendo Switch ? Well, if I had known they would come to their senses, I would've pre-ordered it. But since I guess they'll never release the pre-order bonus for separate purchase, I'll have to wait for an even better sale price because while I'd happily purchase the base game and DLC (for, say $1.99, it's music afterall) for FULL price, I'm not going to jump now on something that will forever be incomplete because they decided to make it a pre-order exclusive instead when it really should have just been in the game to begin with. They're lucky though, if it weren't just music, and instead anything to do with cosmetics or gameplay, they'd just never see my purchase at all. But I applaud their removal of Denuvo anyway. "Boldly moving one step forward after taking several steps back first!" i'd say that -20 percent of the full price, for the game - the dlc music seem like a good deal. so i might get it now. Now, that's just my opinion. I just found out that Mega Man 11 on Nintendo Switch firmware version is 5.1.0. Anyway, Denuvo is nothing new and it is not necessarily. It's good that it is removed. well, i'm getting it. Sure i'll get no preorder bonuses, but i can live with that. Oh yeah! Now I have reasons to buy it.